Is collecting silver or gold the best idea for bartering if SHTF? You are here: Home / Financial Prepping / Is collecting silver or gold the best idea for bartering if SHTF? Author’s note: Graywolf wrote an article a while back on using gold and/or silver as a form of barter should the zombie hordes roam the Earth. I thought Scott raised several excellent points in his piece. So please note that my article here was not written to be adversarial to his. Instead, this was written to “show the other side of the coin” so to speak. We hope that by offering a counter view point, we can generate solid discussion and open the exchange of ideas. We are all never told old to learn! A while back, my brother and I had a discussion on the merits of collecting silver for the use of barter in SHTF. We were at a local thrift store when he came across some silver platters. They were indeed real silver, and he purchased them with the intent of melting them down. This in turn led to our discussion. While I commended him on getting a great deal on the platters, I was not as enthusiastic about his desire to smelt the platters. (Never mind that neither of us are silversmiths, nor do we have the tools or ability on our own to produce the 1800 plus degrees F* needed to smelt.) I told him that the platters are worth more in their original form, with the sterling silver mark clearly visible. “I could still trade with them. Silver holds its value.” He said. I then reminded him that it probably wasn’t tactically feasible to be lugging around silver platters while being chased by the mobs from beyond Thunderdome. “I could trade these for coins now. I paid WELL below market value for these platters. Then I’m just carrying coins” He replied. This is true. I felt like he should have worn a mask that day because he got a steal of a deal on them. So he could most likely get a decent return in silver coins on his initial investment. But that was beside my point. I then posed to him a series of questions about purchasing precious metals for the sole intent of bartering after SHTF. “Can you grow something with it? The answers were obvious, and I then asked the question that made him stop and think. “If the grid goes down tomorrow, what out of our gear would you trade away for gold or silver coins?” The silence was telling. We both keep some extra cash on us, for emergency situations. And it has come in handy on an occasion or two. But in a prolonged emergency situation, cash will lose its value. And for a time, so will precious metals. Gold and silver will always have an intrinsic value. History has proven that. But during an extended crisis, or God forbid the gird goes down for good, there will be a time when the focus will be on merely surviving. Food, water, shelter, etc will be what is important. Having the tools and abilities to survive will be king. Those times will be the most taxing, the most trying. And it is THOSE times we are preparing for. That’s not to say that you won’t ever need to trade for something. Barter has been around since the dawn of man. The zombie apocalypse won’t stop that. But instead of purchasing precious metals, I would urge you to use your resources for other things with which you could trade. Things which have a purpose greater than just barter. For example, certain skills would be in high demand. Those in the medical profession, skilled mechanics, carpenters, and gun smiths would have skill sets that they could parlay into equitable commodities. And you can use those skills over and over again. They don’t disappear like coins do. Something else to consider is extra supplies and gear. Somehow over the past few years, I came into possession of a box of 20 gauge shotgun shells. However, the shotguns I own are all 12 gauge. And since I do not know of any store that will exchange or refund ammo, I was kind of stuck with them. But instead of selling them on Armslist.com (great online resource for firearms and gear) I decided to hang on to them. Who knows….maybe someday I might be able to trade them. Or maybe I or someone in my group acquires a 20 gauge shotgun. Let me give you another example to this approach. Several months ago I was at a local flea market and found a fixed blade knife with paracord woven into the metal handle. All this for the amazing low low price of only $6.99! Now I have plenty of high quality knives, and plenty of paracord. And I’m guessing a $6.99 knife at a flea market is probably not of the highest quality. But I purchased it anyway. And be honest, if things really do go south for an extended period of time, would you rather have that $25 silver coin or another LifeStraw ? To me, the point of investing in precious metals is for those who want to preserve their wealth (assuming they have some) after a collapse. It’s insurance against devalued currency. Not so much for purposes of survival and everyday barter. If money is an issue and you have to prioritize your preps, precious metals should probably be pretty low down the list in my opinion. I agree. If done correctly, a lot of equivalent skills and supplies can be held more effectively with a good investment in something you can trade for it. As long as you can find someone to trade for it. Here is the example that I use to justify PM’s. Let’s say that you have all of the preps that you need (never happen right). Then you have $10,000 of savings in the bank gaining 0% making the bankers money. Why not put that into silver which could double overnight when the dollar collapses? Bullion is liquid and you can sell it at anytime for cash if you need to, just like taking money out of the bank. If you are on a limited budget then I agree there is no need to buy PM’s. Ammo is as good in many instances and almost as liquid, assuming some federal/state/local law prevents you from selling it when you need to. I’m not saying don’t ever invest in precious metals. I’m saying do not do it solely as a source of barter if he SHTF. I have made over 50,000 in just two years with gold and silver. So let’s say I have $20,000 to invest. I spend $1000 on training. I spend $6.99 on a knife I found at a garage sale. I buy an old tent for $35. And an old axe that I sharpen. I have extra shovels, rakes, hammers, saws, etc. etc. How much stuff do I buy and then where do I store it all? My point is, that if you have adequate preps, and have put some things aside for charity or barter, what do you do with the bulk of your money? I don’t want $15,000 worth of duplicate tools and other stuff in my garage! Silver and gold are the only logical choices to protect your wealth. Sure you can buy extra ammo and a few more guns. But then I also will need to buy another safe! Thank you for that. Sometimes I need to be reminded of what is actually important. I just read Rawless’ books and that was one thing I didn’t like about them. He made it seem like pre 1965 US silver coins was a must for long term survival in a SHTF TEOTWAWKI and that almost everyone had it. I dont think silver or gold is a necessity for long term survival. I think that someone’s skills and knowledge are worth more then gold and silver. I think it would be a good idea to stock up on things such as hard liquor and tobacco products. I imagine that if Sh!t were to hit the fan, people would still have there vices, and they’d probably rather trade to keep their habits fed than quit. I recommend cheap vodka and cheap cigarellos in air tight foil (I opened up a pack a bought six months ago and they were still good). What is the life span of tea? I know tobacco can go stale over time. But tea….that’s an interesting idea. Back from my days attending the Burningman Festival (a temporary city built in the desert, based on a barter economy- no real money exchanged), I used those mini “airplane” liquor bottles for currency. Think of it this way- if a regular bottle of Jack is the equivalent of a $100 bill (in a SHTF economy), those little bottles are smaller denominations- you can always give more for a bigger trade. They’re easy to stock up on too- just buy a few here and there when you’re at the store. People always loved them and I never had any problems “buying” anything. I haven’t made it to the burn yet. One of the reasons I made my DIY portable camping PVC pipe evap air conditioner is to take it to places like that. Barter all comes down to what’s valuable to that person. If you have something universally valuable, like alcohol would be at the Playa then you’re good. 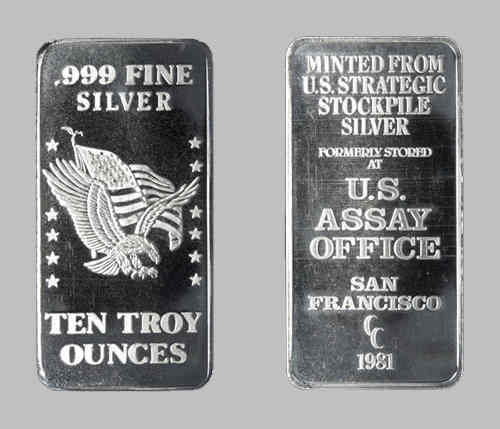 Well, some siver is good as it splits its value easier than an $1,800 coin. And When you have 250k invested in the market which may go up in vapor as it did in 2008 having some in coinage at home isn’t a bad thought. But for real barter power that is low in weight and easily packed, high in value, drugs. Pain pills (oxy, anti-biotics, anti-inflamatories) 2000 pills can weight next to nothing and are worth a life.